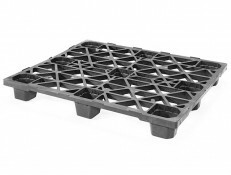 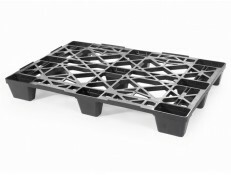 Originally designed to stand up to the heavy industrial conditions found at General Motors engine plants, the Skids Super HD plastic pallet has set the standard by which all other nestable plastic pallets are measured. 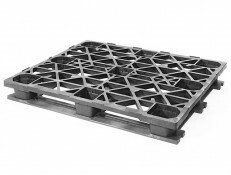 The Super Skids HD is durable, cleanable, recyclable, and designed to deliver dependable service for years under the absolute toughest conditions. 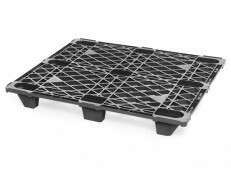 Ideally suited to FDA and USDA regulated facilities, the Skids Super HD will reduce the user’s cost per trip, reduce pallet related waste, and provide a safe, reliable platform. 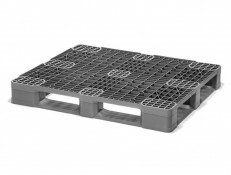 Skids.com will replace, at no extra charge, any of our 40 x 48 Skids Super HD Plastic Pallets that are rendered unusable due to normal use for a period of three years upon return of unusable pallets. 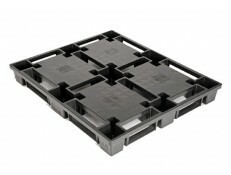 Call For Pricing on Order 1/2 truckload or more.